I dropped my phone in a toilet. What’s worse was the speed with which I dove in to grab it without even thinking about “is the bowl clean or dirty” (it was clean by the way). And it works still so that’s a plus. I learned how to vacation with an infant (very different ideas of “vacation” now exist for me). And that spending several days in the wonderful desert heat almost always means for me coming back to Los Angeles and experiencing gray, grey days. It also makes me appreciate the contrasts in climate for this part of the country. Also, May starts today. Which means it is practically summer and wasn’t everyone everywhere complaining about snowstorms and the like about 5 minutes ago? Maybe it’s the crippling realization that time really does speed up the older you get but man, do I need a cocktail right about now. So let’s think about summer drinks. If we’re thinking about summer days to come, I’m sure pineapples fit in there somewhere. In my house, I fit them in all the time despite the time of year, but that’s me. For today’s recipe, I’m giving you guys some homework first (OK, ok, a DIY super fun, easy, hands off it practically makes itself project): pineapple shrub. I’m not kidding either. Making a shrub is so easy I’m not sure why more people aren’t batching this in their kitchen all time?! Oh, lack of counter space. And, well, better things to do I guess might prevent that from happening. For the sake of this post I’ll just assume you’re on board with me for this one project. Let’s continue. 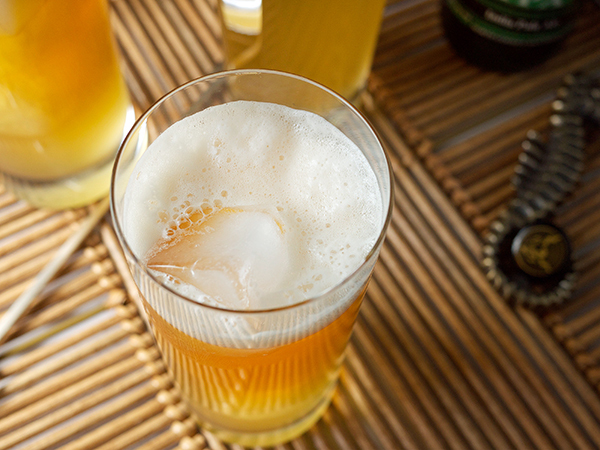 If we’re thinking about summer, we’re also thinking about refreshing drinks, and for a lot of you guys out there, beer. Beer and BBQ and hotdogs and maybe a few illegal fireworks. So, surprise! I’m putting beer in this cocktail too. Pineapples and beer and RUM. 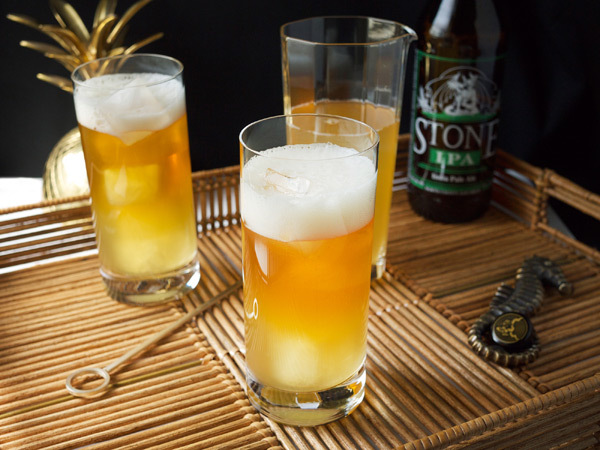 Are you already picturing yourself running through a sprinkler and drinking this cocktail? Me too. Except let’s hold on to that thought and wait two weeks while this shrub brews and then we can get to the galavanting. At least this week is done. 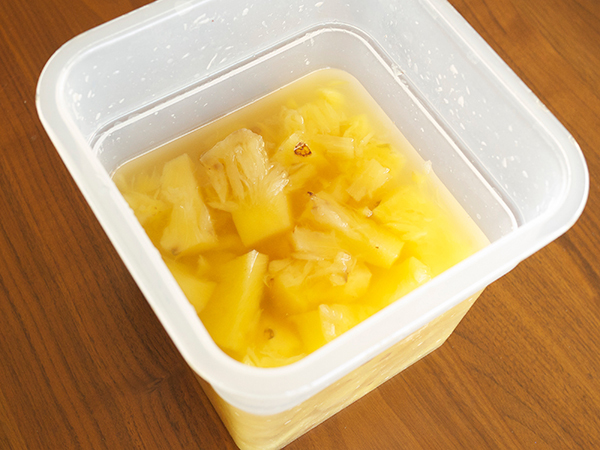 Place the pineapple cubes in a clean, sterilized container. Cover with the sugar and lightly crush the pineapples (I used a potato masher). Let sit, covered with a tea towel, in the open for 8 hours or overnight. Strain fruit and add apple cider vinegar. Cover and let sit unrefrigerated in a cool, dark place for two weeks. Shake the mixture every other day. In two weeks, filter into an airtight container and refrigerate. Will last up to 6 months. Yields approximately 3 cups. In a mixing glass filled 2/3 with ice, pour in rum, shrub and orgeat. 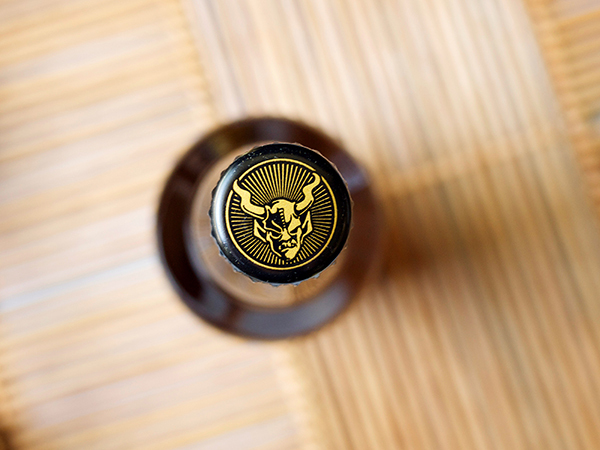 Stir to chill 20 seconds and strain into a highball glass filled with fresh ice. Top with beer. 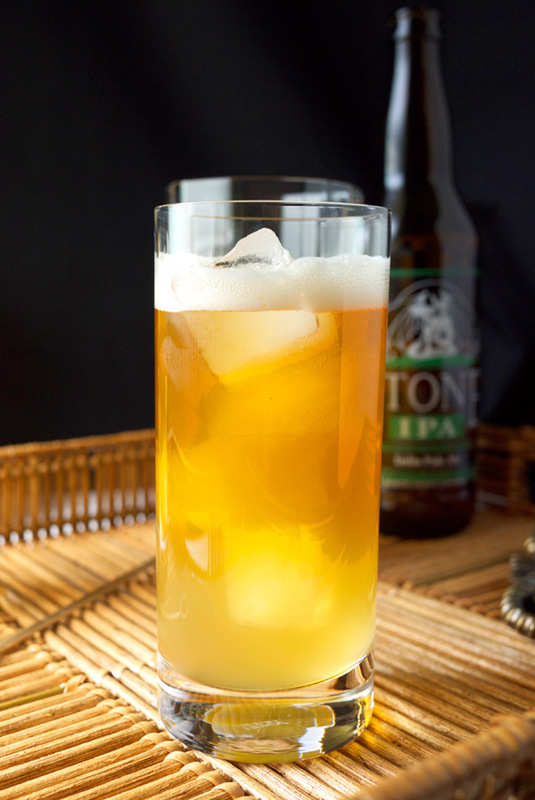 The biting, tangy nature of the shrub is excellent paired with the beer as it provides a contrast to the bitterness that comes with an IPA. Just a touch of sweetness is needed and the sweet almond orgeat provides that along with the white rum. The shrub can be enjoyed all summer long here in this drink, or by itself with a splash of club soda. *Looking for a larger batched version of this? I originally made that very version for Serious Eats a little while back. I don’t know why more people aren’t making shrubs either! My only explanation is that perhaps they have the same problem I do – with over 10 syrups taking up residence plus assorted shrubs, refrigerator space is at a premium. But for this shrub, I’d gladly sacrifice the vegetable bin. Love how your idea of vacation changed. I think of vacation as the time i spend without my infant. I made the pineapple shrub over a month ago and it has been sitting in my cabinet since, but yesterday I decided to try the Pineapple Hop and I was positively surprised at how good it was, sweet, and a little bitter at the same time and with a very interesting flavor profile. Really a recipe I will return to again ! Thanks !!! great post – thank you! wanted to ask you though this though: On the blackberry shrub recipe you let the ingredients sit inside the refrigerator – versus this one is in room temp. What is the difference? thank you!!! Good question!! So this ends up being a matter of what you’re comfortable with. You can actually process the shrub either way, while out of a refrigerator will quicken the process by a few days. Some people are not comfortable leaving food out for weeks at a time, and so you can process in the fridge. With these two shrub recipes, I also found that the blackberries got a better taste in one week, while the pineapple was better after two. Keep in mind, a lot of this is taste preference as well. Always start tasting what you’re making after a few days and continue until you are satisfied with the result–you have to drink it!